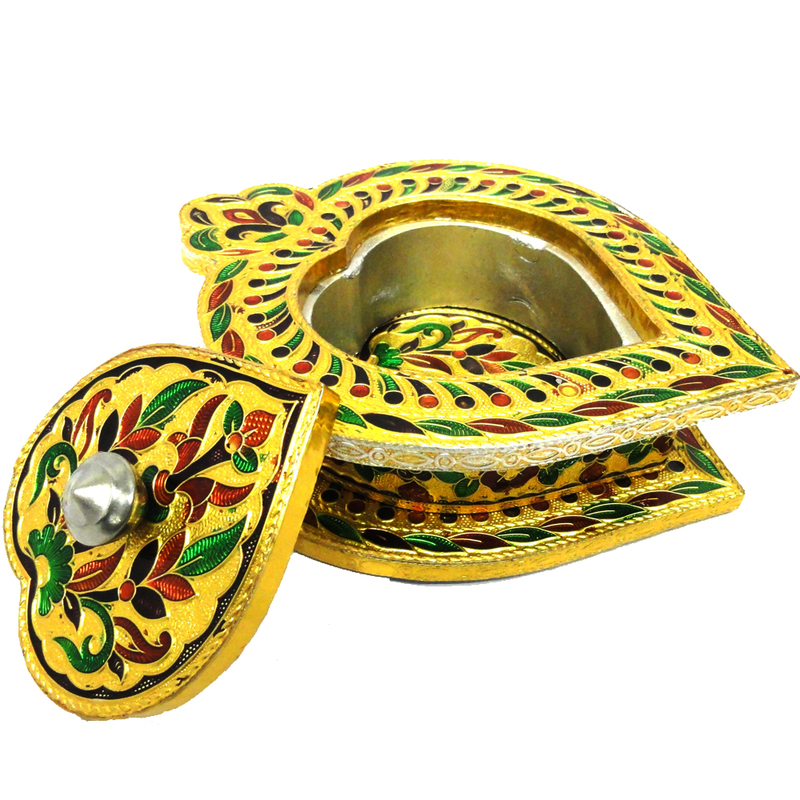 This diwali present gifts to your near and dear ones in this beautifully hand crafted and art engraved, exquisitely shaped gift box with wooden base Read More..and complete with an excuisite brass lid with meena work. Such a charming enclosure is bound to enhance the appeal of your gift and win you appreciation from your near and dear ones. The meena work on the body adds to the beauty of the box. Show Less..